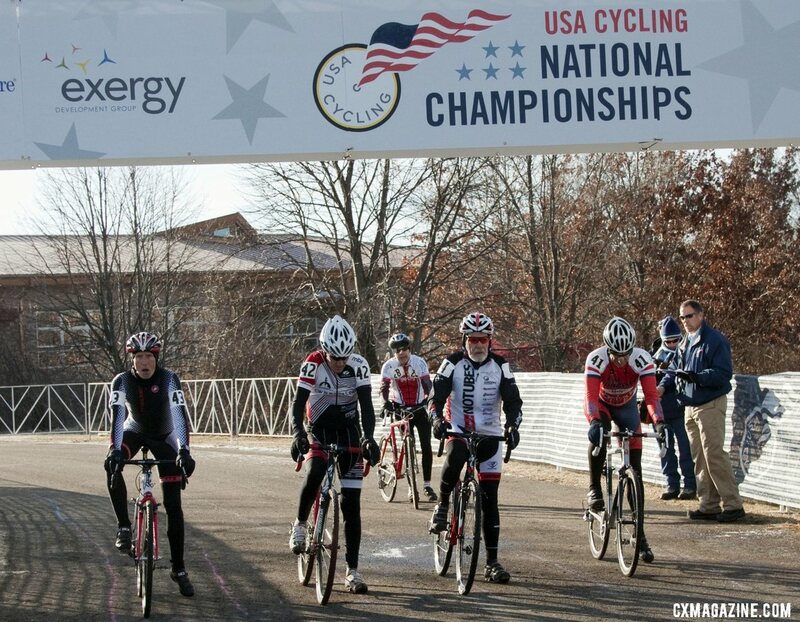 For full coverage, schedules and information on the 2012 Cyclocross National Championships at Badger Prairie County Park in Madison, Wisconsin, visit our 2012 Cyclocross National Championships homepage. See all of Cyclocross Magazine‘s 2012 USA Cycling National Championships video interviews here! 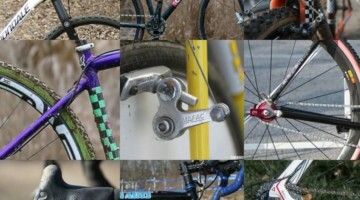 Check back soon for the full race report, photo galleries and videos. VERONA, WISCONSIN— With sunny skies and unseasonable high temperatures (for Wisconsin), the 60-64, 65-69, and 70-74 Masters racers took to the start at 9:30. In the 60-64 age group, Fred Wittwer (ALAN North America Cycling) took the first Championship win of the day on a course that is becoming both a strategic and technical challenge for riders. Wittwer led the race from early on, developing a gap on the second lap, and opened it up steadily as the race went on. Wittwer, who broke his collarbone only 10 weeks ago, was able to get maintain his gap on the courses main hill where he was clearly a class above the competition. “All those months climbing on the Blue Ridge Parkway have paid off,” Wittwer said after the race as he reflected on his months of preparation. Wittwer was chased by Greg Pautsch (Planet Bike) and Joe Brown (Flying Rhino Cycling Club) but never faltered, and clearly exemplified the notion of “old man power” as he turned in lap times that easily rivaled those of the day prior. The youngest group to go off at 9:30, the 60-64’s did see some mid pack action, with riders like local rider Todd Palmer (Brazen Dropouts/Brazen Dropouts Cycling Team) rolling through the start-finish with blood pouring down his face but clearly still in the game. 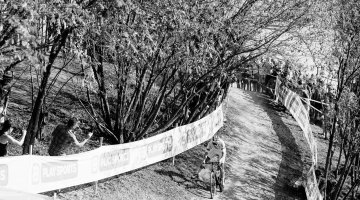 In the 65-69 Men’s race, Salt Lake City rider Lewis Rollins (The Contendor Club) played his cards strategically the first lap before using superior fitness to take the win. Rollins shadowed number one seed Rick Abbot for the first lap and then pulled away on the hillier sections of the course. The compact former US Marine said, “I have short legs but they are strong. I can run stair to stair where other guys are taking stutter steps in between.” Rollins first took the lead on the hill and was able to out climb and finesse the remainder of the field to take a commanding win in the 65-69 category. Rollins, whose prep for the race included eight days of skiing is gearing up for worlds where he hopes to take on perennial favorite John Elgart (Webcor Alto Velo) who skipped Nationals this year in favor of Louisville. In the 70-74 race Robert Llamas (Montrose Cycling Club-Montrose Bike Shop) took a narrow win at the line over 2010 70+ champion Erik Nordenson. Race favorite Joe Saling (Somerset Wheelmen) took an early lead but ran into difficulty on lap 2. “I came through the pit, and I had 20-second lead, five seconds later i just went down. For some reason I could never get things going again.” Robert Llamas took command of the situation and held a 10-second lead over Nordenson for most of the race. 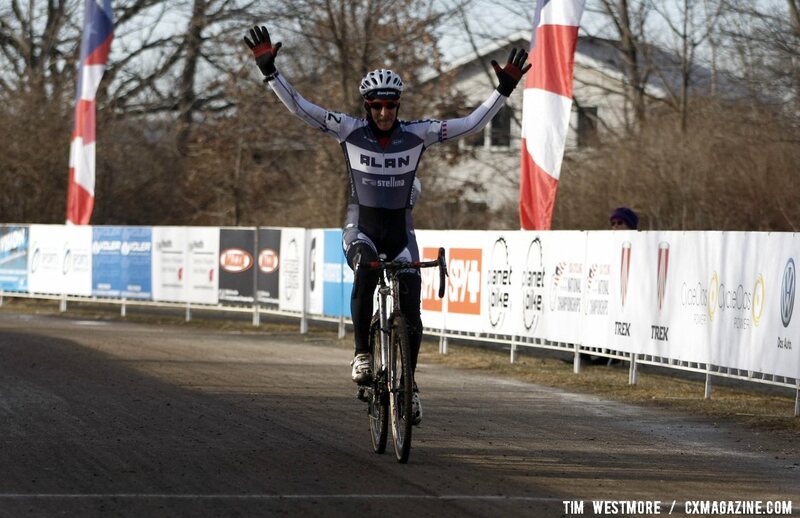 Due to a crash on the last lap Llamas lost ground going into the finish but despite Llamas’ bobble, Nordenson could not close the deal in a tight finish that came down to a bike throw at the line. In the 80+ race, motorcycle Hall of Famer Walt Axthelm continued his winning streak, taking an uncontested title but passing some younger racers. Full results below the photo galleries. Keep up to date on all of the action at 2012 Cyclocross Nationals on Cyclocross Magazine’s 2012 Cyclocross National Championships homepage. DNS George PAWLE Westfield, MA Cyclonauts Racers Inc. 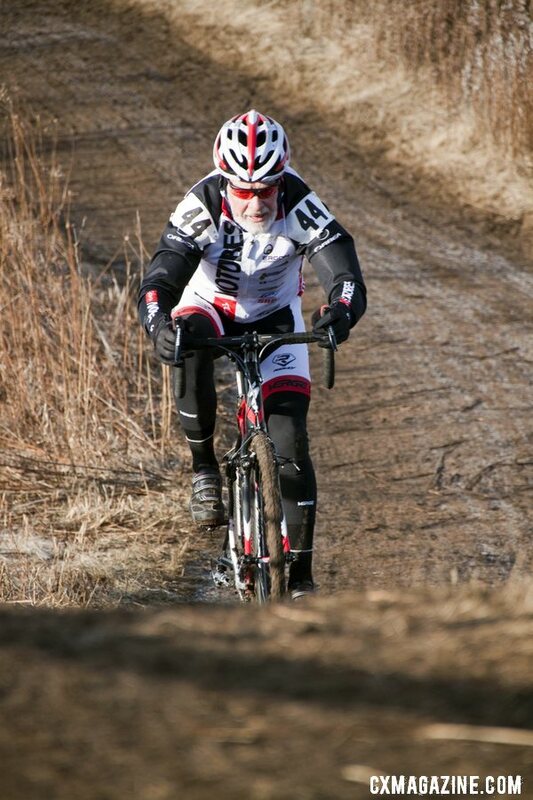 Previous post ’Cross Intel: Pete Webber Recons the "KoppenBadger Cross"
As a 51 year old beginner that is hooked on CX I now know my future- I want to race ‘cross at the nationals when I’m 70!